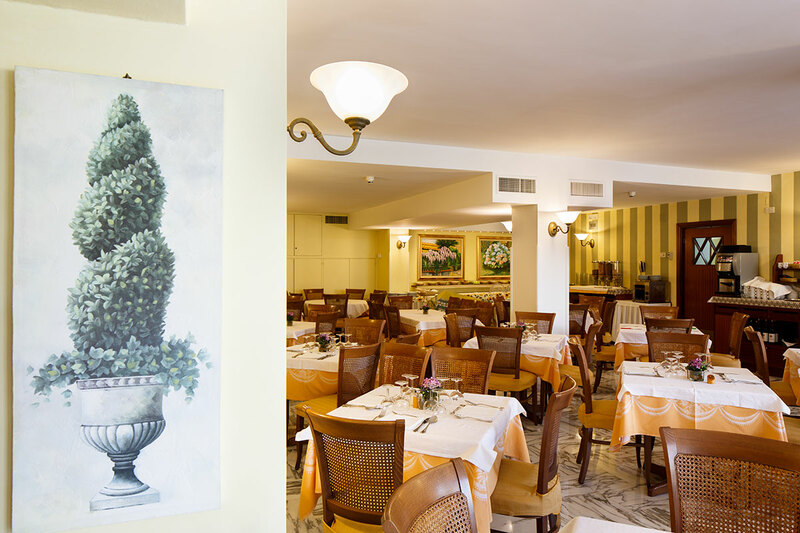 The Girasole Hotel is a nice family hotel in Sorrento which gives a warm and friendly hospitality to its guests, a characteristic making it an intimate and homely place, where to feel at home among friends and dear people. 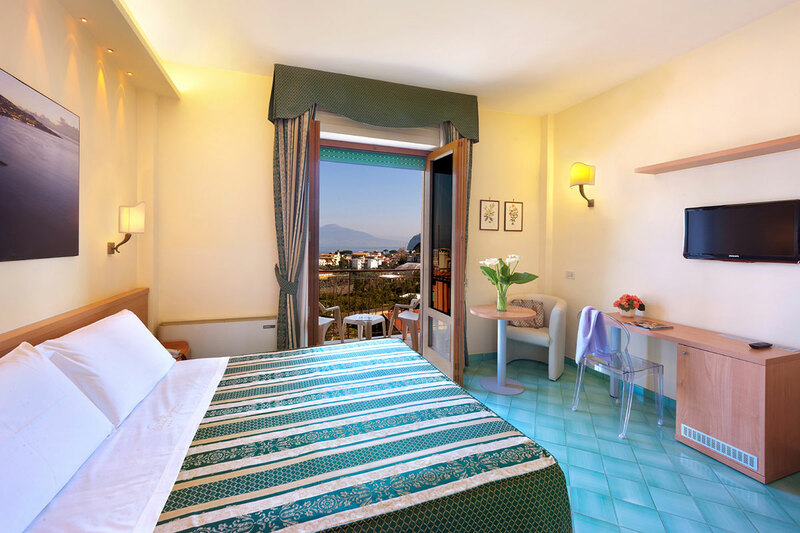 The skilled and friendly hotel staff gives a warm hospitality to their guests, by offering all their availability to satisfy any request for a pleasant and comfortable holiday in Sorrento. 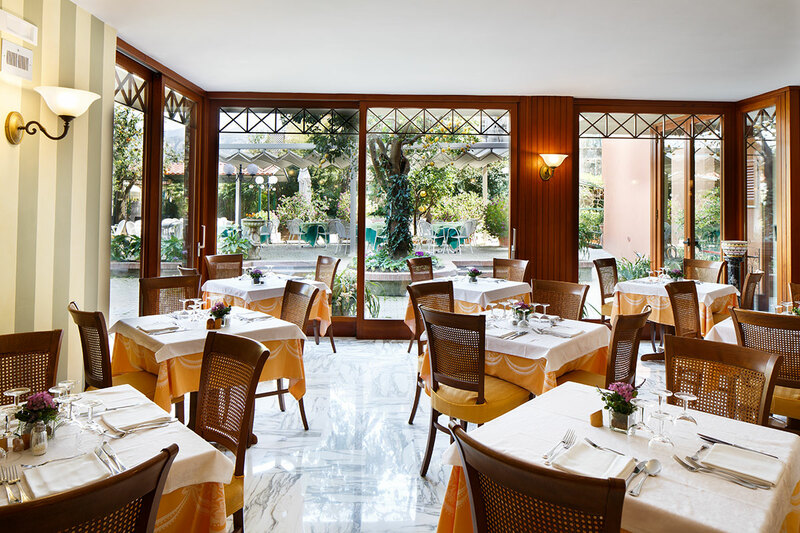 Situated at the entrance of Sorrento, in a quiet position, just outside the historical centre, the hotel was started up by the Mr Carmine and Mrs Assunta Ruocco who, in 1970, renovated their property making a hotel out of it.The Girasole Hotel is really painstaking and is continually submitted to such maintenances as to always grant its high quality standards. At present, the couple’s four children run the business with great care and professionalism, ability and passion, qualities noticed by guests who find hospitality and welcome ideal to relax and feel at home, thus having a unique and unforgettable stay.The Girasole hotel does not fail to meet the expectations linked to its name, as its location allows it to receive sunbeams abundantly and so the pleasant luminosity becomes the ideal frame for a stay in the Sorrento Coast. Thanks to recent renovation works, the hotel has improved its comforts and facilities, by offering a cosier and warmer environment. 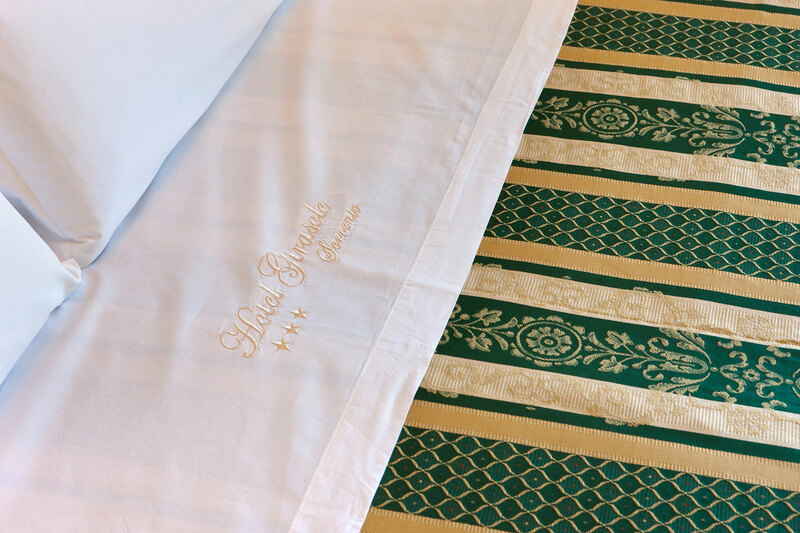 All the services and the features of the hotel are thought to make its guests’ holiday unforgettable. 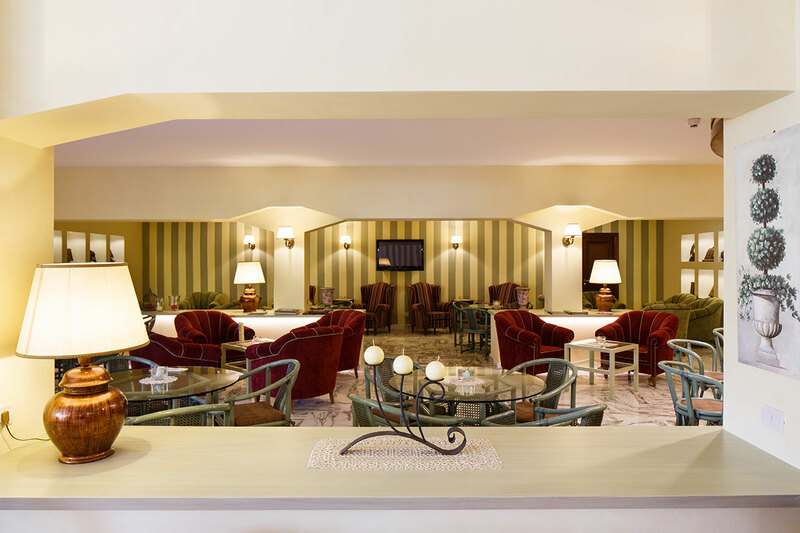 The Girasole hotel has 39 modern, cosy and comfortable rooms, furnished with simple and elegant taste, most of which have a very panoramic view on the Gulf of Naples and are equipped with so many modern and desirable comforts. Room services include shower or bathtub, hairdryer, telephone, air conditioning and TV- set. Meals in room are also available on request. Hotel with private pool, immersed in the green of a wonderful orange–grove typical of Sorrento. 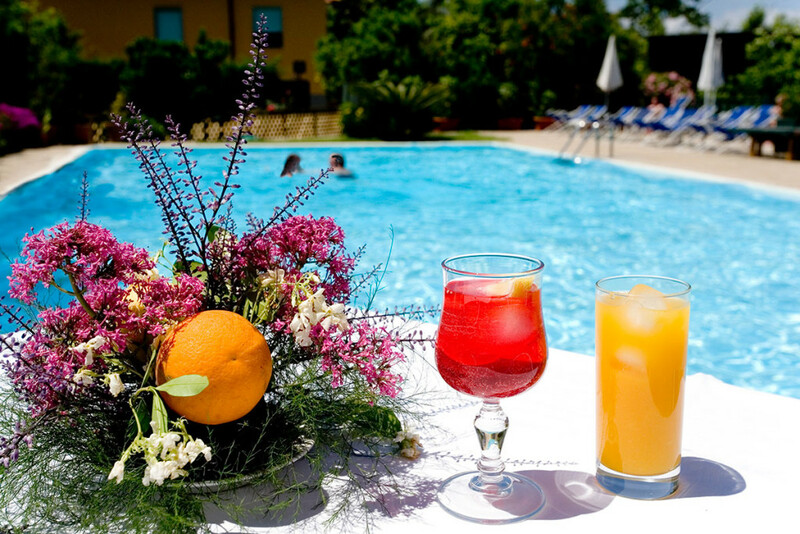 The pool is surrounded by flowers and plants, source of unmistakable scents characteristic of the Mediterranean vegetation, a small corner of quietness and rest, as an alternative to the more crowded beaches of Sorrento. The pool bar offers a good selection of local dishes and sandwiches, cold drinks, ice cream and home made cakes. 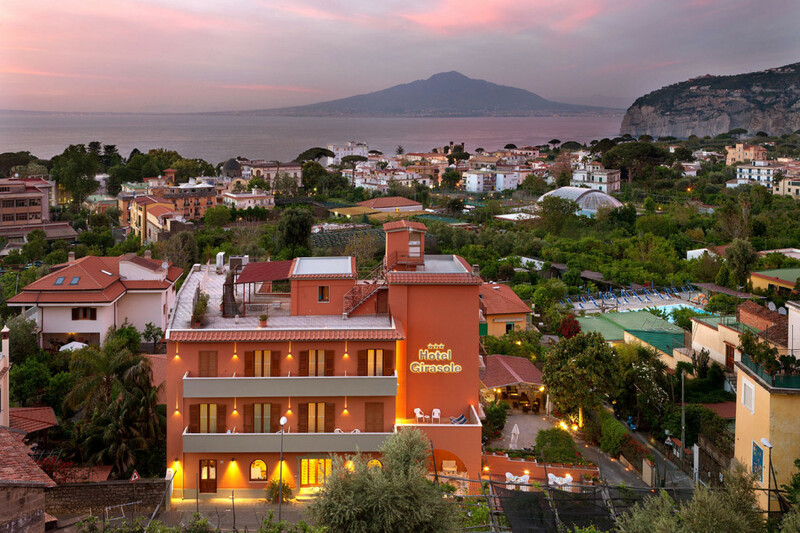 The many amenities include panoramic views of the Gulf of Naples and of Vesuvius. 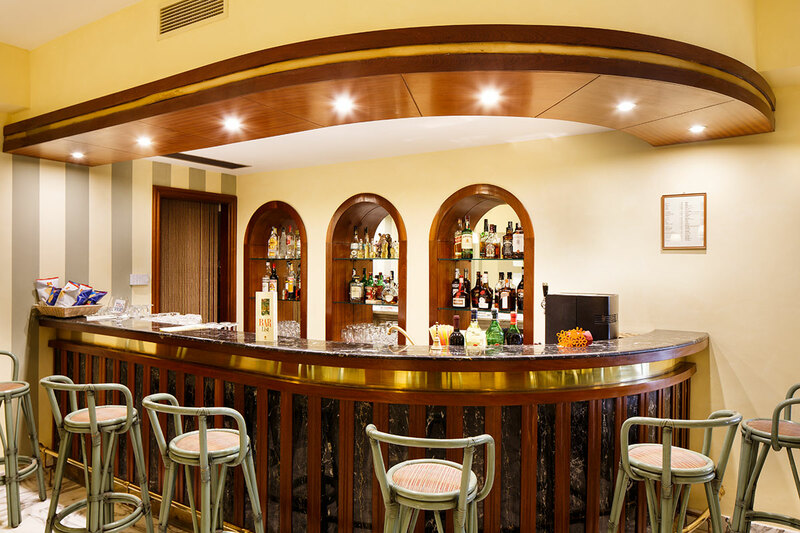 Bar, large sitting-room, TV lounge, central heating, air conditioning.The Girasole Hotel has afree parking area for guests who book through our site.